Ready to help with K-drama/film downloads! This recap will be formatted a bit differently than usual seeing how clear-cut this case was. Rather than the case, the focus was really on the relationships between the characters and what that meant for the future. We start off with two drunk men searching for a quiet place who find two corpses in some sort of underground parking lot. Frost, YSA, Assistant Cha and NTB are called on the case. 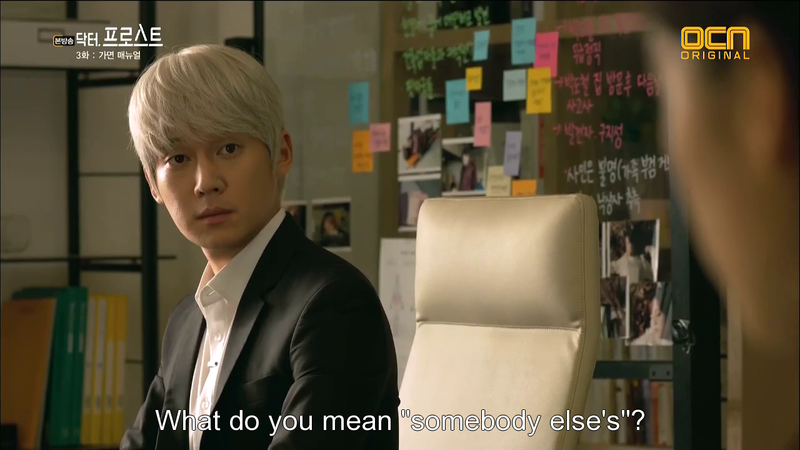 They find that one of the dead men, Goo Ji Sung (GJS) is a sales manager at a mall, and the other, Park Doo Chul (PDC) is a low-ranking government official. The two are high-school classmates and rather close. Both were reported as missing over five days before. During investigation, the last phone call that each received are found to be from the other. GJS was last seen at a company gathering. PDC’s wife mentions her husband getting rather irritated a few days before his disappearance upon receiving a phone call from a woman named Jin Sun Mi (JSM), who was waiting outside their apartment door to speak with him. NTB asks whether her husband had affairs, which she denies vehemently. Frost pronounces it as the truth. They research more into the woman and find her to be one of GJS’s employees. 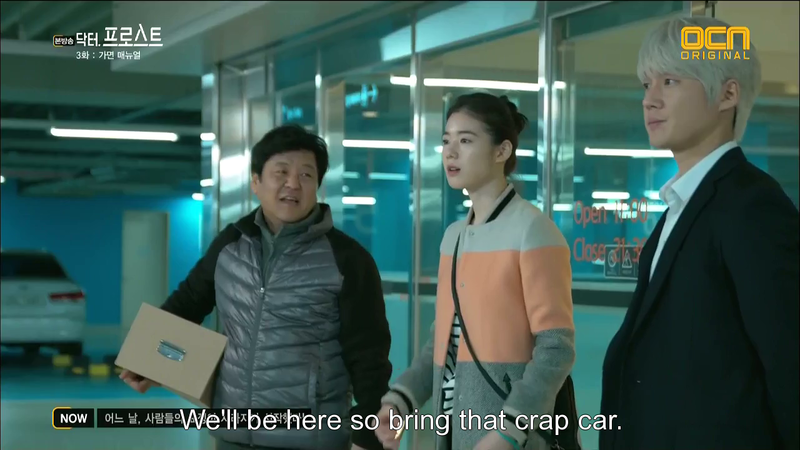 Trying to find a connection between this woman and PDC, they head to Noblesse Mall, where the deceased GJS used to work, to interview his subordinates. The atmosphere is rather strained, with the meticulously attired female attendants eyes them nervously. NTB and Frost head over to interview new sales manager Seo Hak Soo (SHS), who asserts that he had an alibi for the night of the company meeting as he took Assistant Manager Kang Soo Jin (KSJ) home. Frost notices small details like, the woman’s ring he wears in his pinkie, as well as the strange tightening in his voice as he speaks of Jin Sun Mi. This was the worker who visited PDC at his home for some strange reason or the other. Frost and NTB are also informed that she died that very night. As they’re leaving the office, Frost notes SHS speaking quietly with KSJ. The pair move away when they find Frost’s eyes on them, but something about them sets off warning bells. 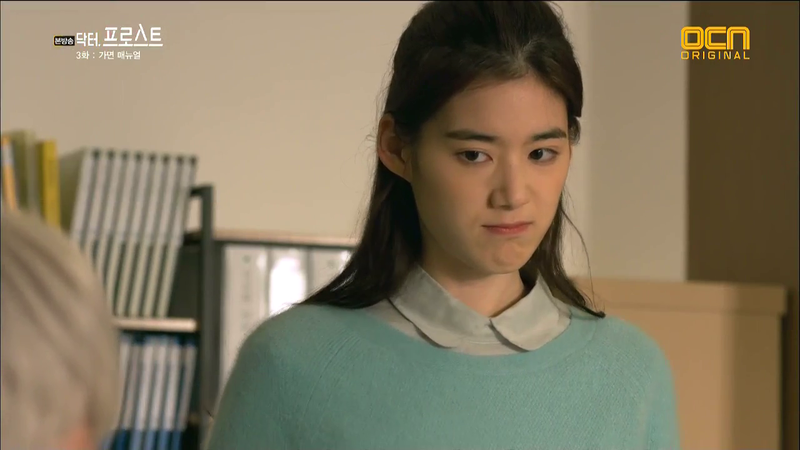 Meanwhile YSA interviews a sales attendant named Lee Ji Hye (LJH) who used to work with JSM. She tells SA the entire story. JH was minding her own business when PDC strode into the store to buy something or the other. JH obliged with helping him find the item when he began to harass her, by touching her thugs. Seeing this JSM, her best friend, was outraged and jumped in, yelling at PDC for sexual harassment. GJS entered at that and threatened JSM with her job, were she to dare doing so again. JSM did her best to fight back legally for JH’s sake, but it was to no avail. A month later, she was found dead. SA relates this to Frost and the others. They investigate the area surrounding the last spot GJS was seen, after that company meeting, as they’ve no other leads to go on. Frost returns to the department store and tests out some sort of theory by pretending to be an overly picky customer. 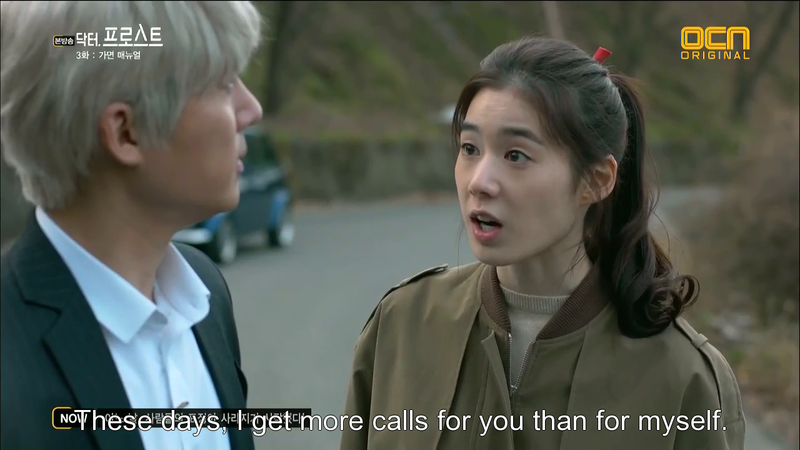 Lee Ji Hye (who doesn’t know that Frost is with SA) believes him to be a regular customer, and does her best to defuse the situation yet, Frost continues to push all the wrong buttons, acting haughty (though he does have a faintly haughty demeanor) and Assistant Manager KSJ instantly rushes on the scene, maintaining the same smile in place all while apologizing to Frost, the very same expression on her face no matter what. Using the block box footage from the ars that were parked in the area at the time, they piece together what actually happened and find footage of SHS, and KSJ, with a drugged PDC and CJS with them in separate cars. The pair are arrested, SHS easily confesses to the crime but KSJ takes long. Frost notes that she has Smiling Mask Syndrome, and has never once broken her expression. 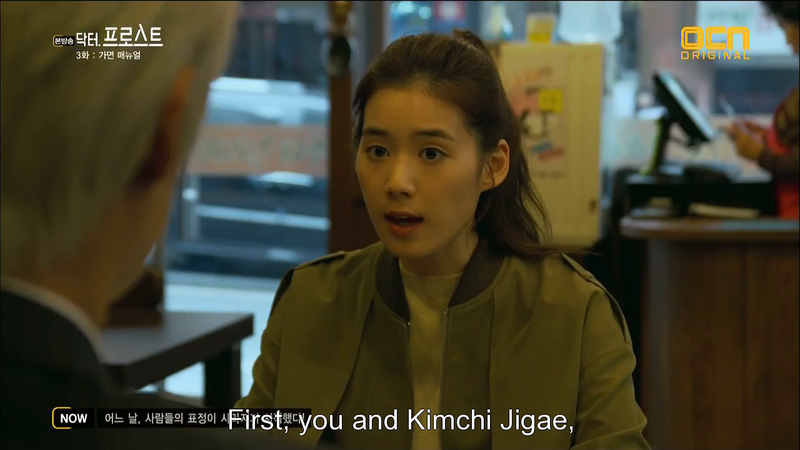 He brings up JSM, trying to force a reaction, clearly aware that she meant something to KSJ as well. 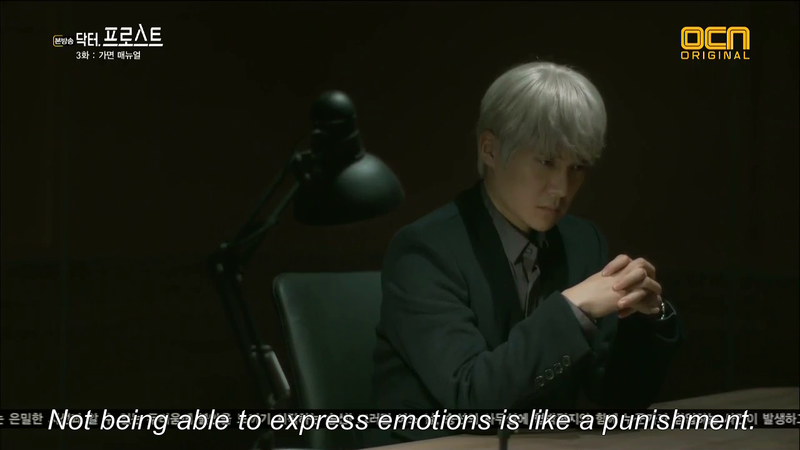 A single tear rolls down SJ’s expressionless face, and that’s when the full story comes out. SHS and JSM were in love, and he was greatly affected by the daily threats that GJS made towards her. But it got worse when he found out that PDC had killed her. Turns out that KSJ overheard a conversation between PDC and GJS, where the latter accused the former of killing JSM. That night she showed up at his house, PDC had taken her to the rooftop. 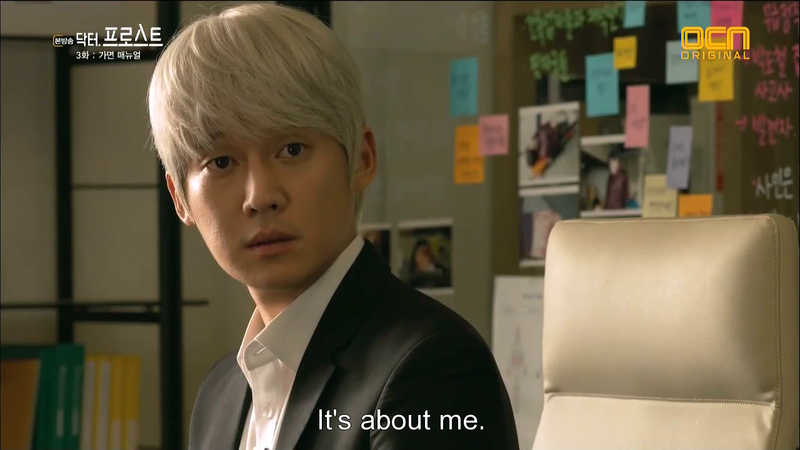 JSM had showed up as a last ditch resort, trying to gain an apology from him for the unwanted advances he made towards LJH. PDC refused to listen, all but admitting to the act all along, in the way that people are won’t to do when they believe that they won’t be discovered. Yet, JM was recording the entire thing. She drops her phone, and PDC catches on, as she lunges for it, he pushes her, and she goes off the balcony and falls to her death. In the conversation, GJS asks PDC for money if he wants to ensure his silence. But KSJ heard the entire truth and vowed to get revenge. Thus, she told SHS of what truly happened, and together they hatched a plan where GJS and PDC were locked in that underground parking garage for days on end without food and water. Tensions ran high with each blaming the other for the present situation, and PDC finally beats GJS badly. Days later, when the two are at they’re weakest, SHS and KSJ returned to the underground garage and finish the dead by making their death’s appear to be have been caused by each other. KSJ says that JSM was dear to her as well, as she was the only person she didn’t have to wear her mask around, some she could be herself around, someone who genuinely cared for her. Yet PDC took away someone as warmhearted as that, and KSJ had few qualms with sending him off this world as well. Frost looks pensive as SHS and KSJ are lead away and NTB wonders what’s going on in his mind. SA types up the case later, having hit the nail on just what Frost was pondering. It’s not too bad a case, but what really made this episode shine was the rapport between Frost and his teammates, NTB and YSA. NTB he’s been well acquainted with for the past seven years, meaning there’s an established camaraderie of sorts, with each having great respect for the other’s intuition, and knowing when the other has sensed that something’s up. It’s an established relationship that we see in action. 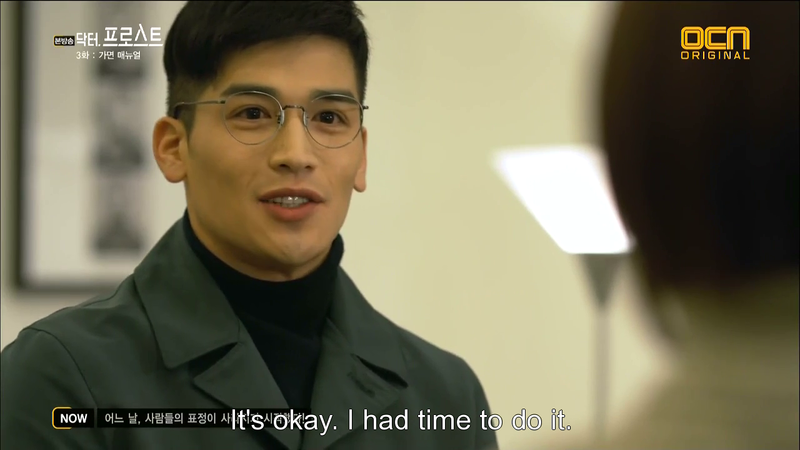 But Frost’s relationship with SA has just begun, and watching Frost navigate interpersonal relations is different from watching your average Kdrama hero from doing it. Why? Because he doesn’t feel what they do. Things like tact, are utterly foreign to him and that’s what makes the small things he does, and the little bits of humanity that SA manages to draw from him so interesting. 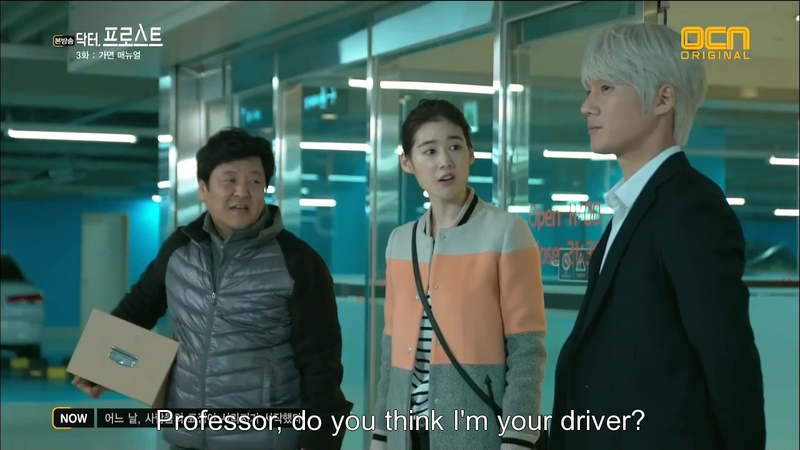 Woven into this episode is an assignment that Frost gave his class in lieu of them attending his lectures (the notice drew a great deal of exasperation from Song Sun, seeing how freely he chooses to cancel class whenever he feels like it). SA chooses to analyze Frost, which she tells him blatantly. Unknown to her, he has chosen to analyze her. The following conversation is rather amusing to see, as each attempts to figure the other out. 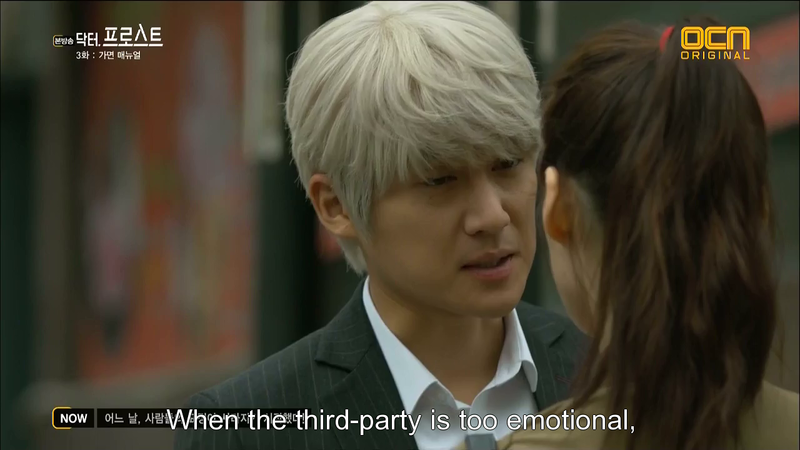 And while Frost seems pretty clear-cut to Seung Ah, she sure as heck isn’t, to him. He analyzes her microexpressions to deduce that there’s something she’s curious about and she analyzes his preferences and that fact that he’s not eating even though they’re at a restaurant to wonder why on earth he even came in the first place. Frost is slightly taken aback and asks her why she wishes to know, which is when he’s informed that she’s chosen to analyze him. The serving ahjumma chooses that moment to accidentally spill some stew on Seung Ah, who starts to complain but then remains silent. Frost notes that she’d never have done the same thing at a high class restaurant to which Seung Ah says that the waiters there would’ve have all sorts of fancy training, as opposed to the serving ahjumma here. She says that she can simply wash her clothes. Frost remains silent. 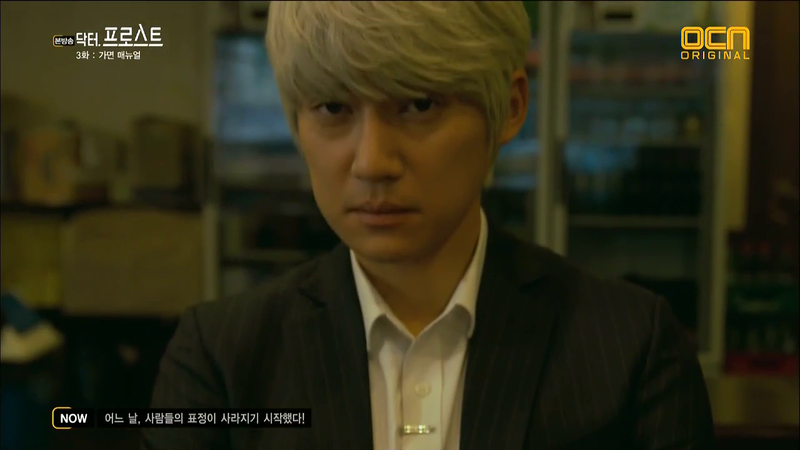 They leave the restaurant with Seung Ah continuing to follow Frost, shooting him dirty looks when he refuses her offer of coffee. Frost gets all up in her face when saying that he’d like to observe people in peace, which leaves SA a little flustered for a moment. Upon arriving at the crime scene, SA is mildly irritated when NTB calls her phone to ask for Frost once more. The following conversation ensues, which is all the more amusing by the deadpan way Frost speaks. 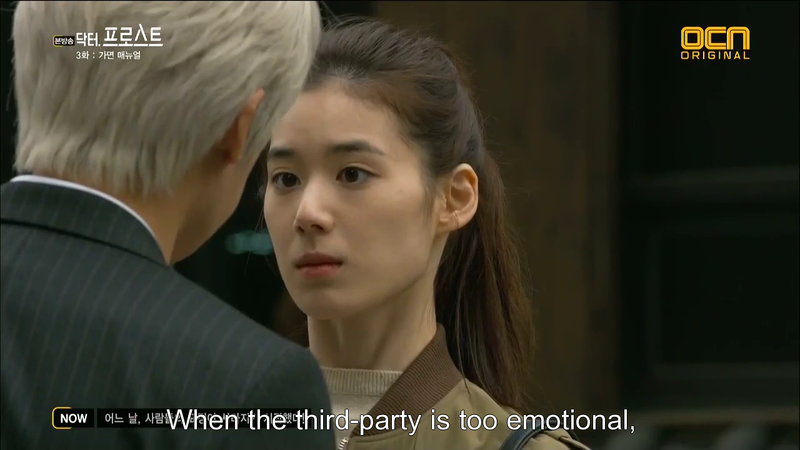 They continue to bicker throughout the episode, especially when Seung Ah flees during the inspection of PDC and GJS’s corpses. Frost mocks her overly emotional response, while she mocks his lack of emotion, and they continue to snark at each other all the way to the mall. But it’s at the mall where things get interesting as she asks she questions NTB whether there were any cases that him and Frost weren’t able to solve. The two pause, causing an unsuspecting SA to walk into Frost and get Gatorade all over her shirt. NTB and Frost don’t exchange looks but wear remarkably similar expressions that read off as a definite yes. 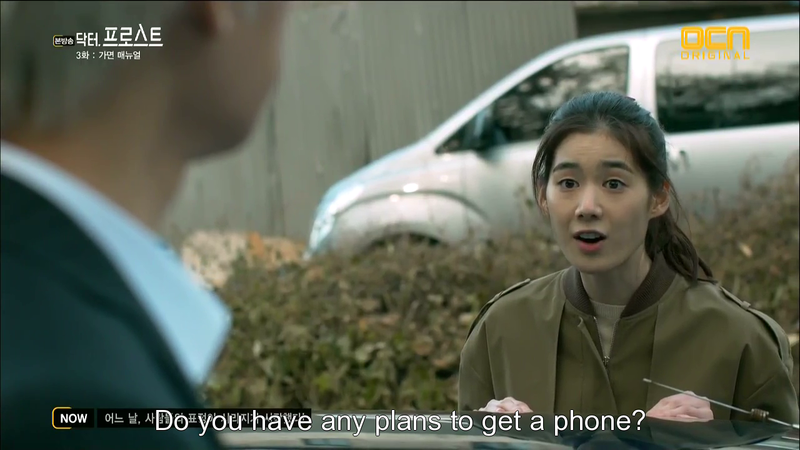 What do you want to bet that this was Song Sun’s sister’s case? 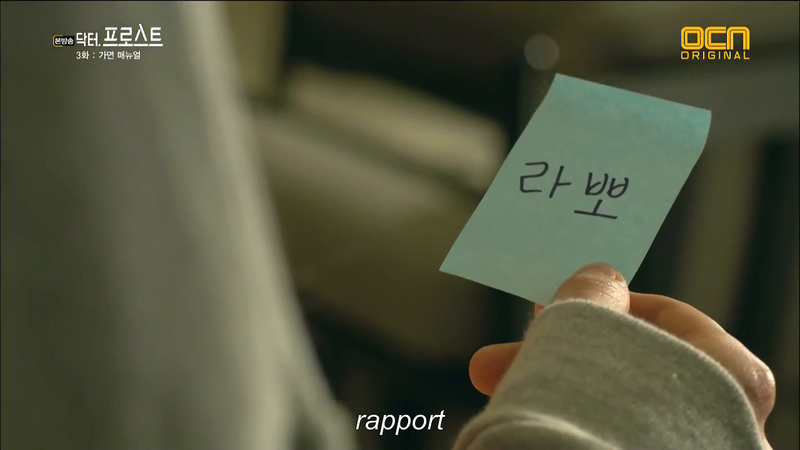 Frost turns and coldly tells Seung Ah to stop doing her university homework when they should be investigating the case. She meekly complies, not knowing that she’s stepped on a major nerve. More snarking continues, when he asks for her to bring around the car, and she questions whether she’s his chauffeur. 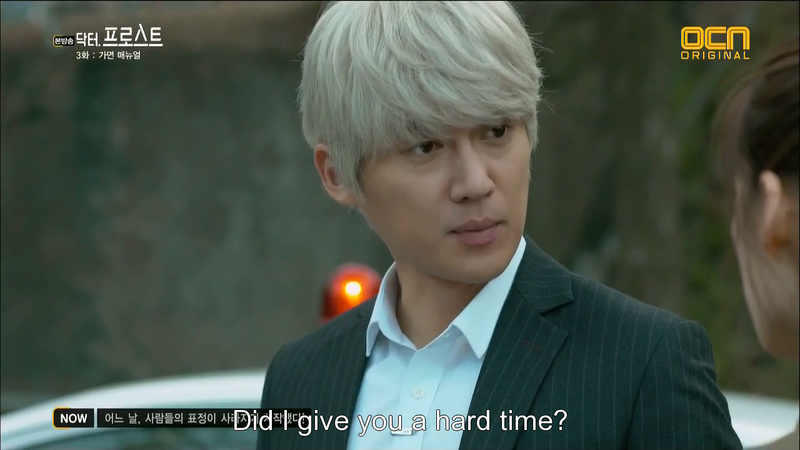 NTB chooses the wrong moment to say that he sure can get hold of Frost much more easily, now which just makes Seung Ah feel like a human pager. Frost finally tells her that she can ignore all the calls for him, which she happily agrees to. NTB tells Frost to join the 21st century and get a phone. 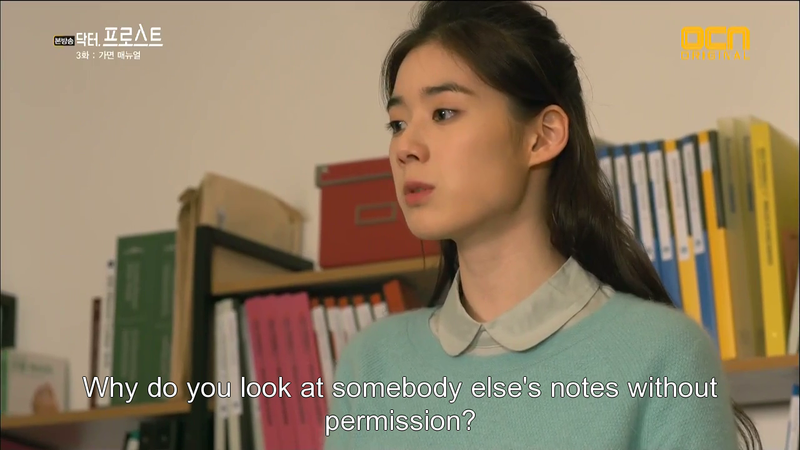 Seung Ah finds Song Sun waiting in Frost’s office and hurriedly excuses herself sensing a heavy air between the two. She pauses outside the door for an instant, wondering just what their relationship is. Frost and Song Sun have a conversation regarding an experiment they appear to be setting up, with SS being pissed off that Frost has made a few changes without asking her input. Frost iterates that he merely wishes to be of aid to her and wonders why she’s so angry. I honestly wish this show would hurry and tell us why there’s so much tension between them. Yes, she believes him to have been the cause of her sister’s death, but there’s obviously more to it than that and it would really be useful it we were told a little more to make some sort of judgement. It’s a good idea to withhold information, à la Healer, but to withhold so much isn’t wise. 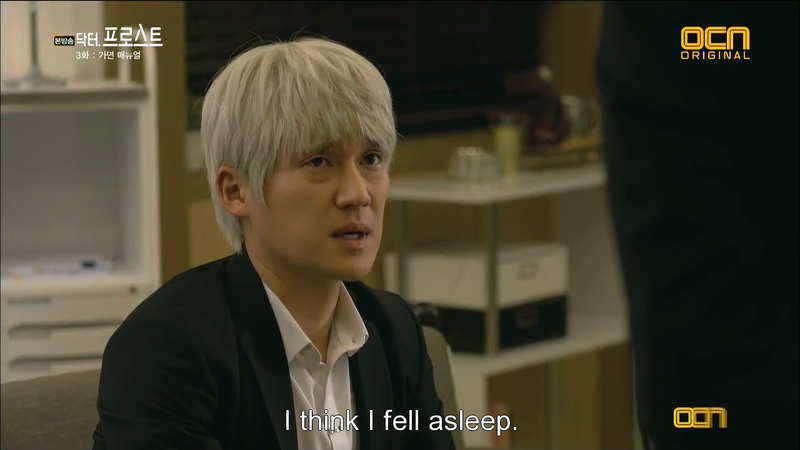 Team Manager Bae Doo Ahn shows up once more in this episode and appears to have a flaming crush in Song Sun, seeing how he’s always helping her out. 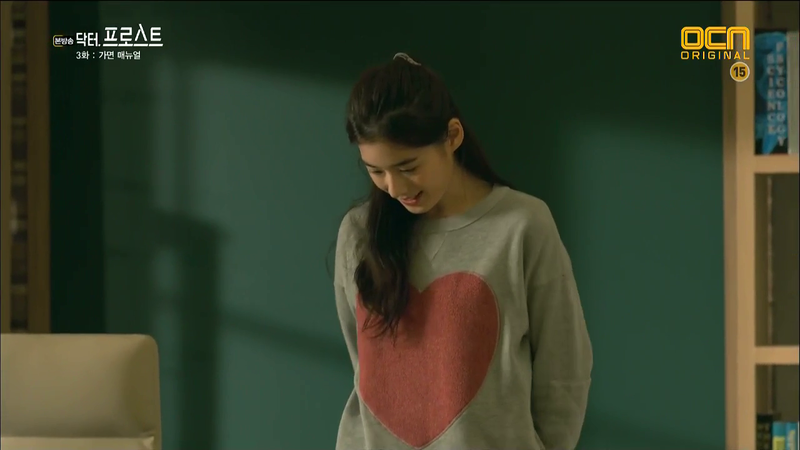 He leaves her hankerchief (which he’d borrowed from the previous episode) on her des after having washed it. 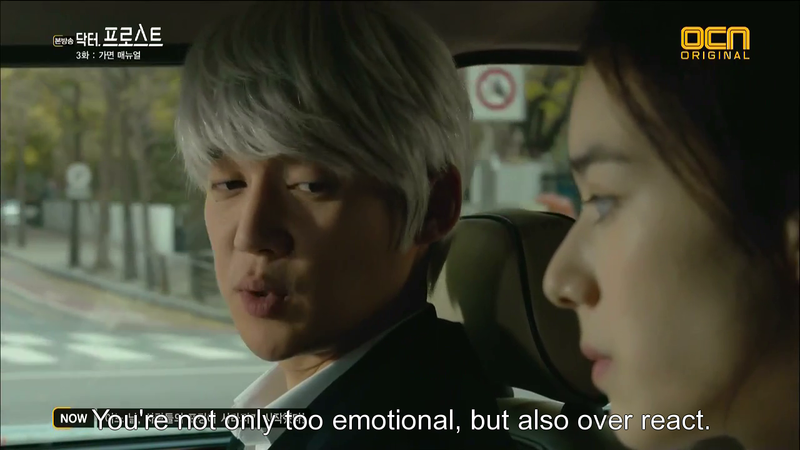 I’m glad Frost isn’t SS’s love interest seeing as I’m enjoying the Frost-Seung Ah dynamic. Ooh, turns out that Frost had reason for suddenly cancelling class for three weeks. He suffers from nightmares, which appear to be flashbacks to his past, where he sits in the passenger seat of a car, blooding running down his face. A little girl, also bleeding in his line of vision. Frost displays the most emotion we’ve seen yet in this scene, with weariness and remnants of fear still etched on his face after the nightmare. 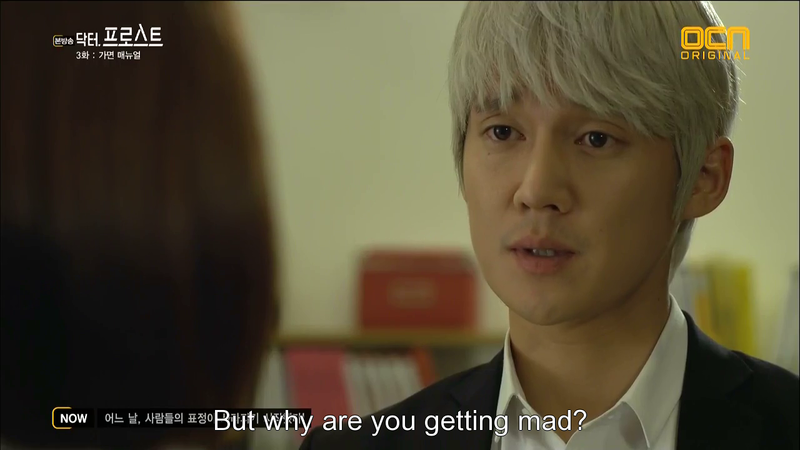 Dr. Cheon Sang Won catches him just as he comes awake, and asks after his wellbeing. He seems to be well-aware of what’s going on, it’s too bad we aren’t. Frost visits the mall once more and performs the above mentioned test where he temporarily dons the mantle of a haughty customer, yet upon leaving the store, he purchases an orange winter coat. Hmm…could it be? Seung Ah ponders Frost’s relationship with Song Sun. Rivals? Exes? She scribbles around in her notebooks, having created a flowchart for Frost, not noticing that the man himself has crept up behind her, which leads to this delightful exchange. 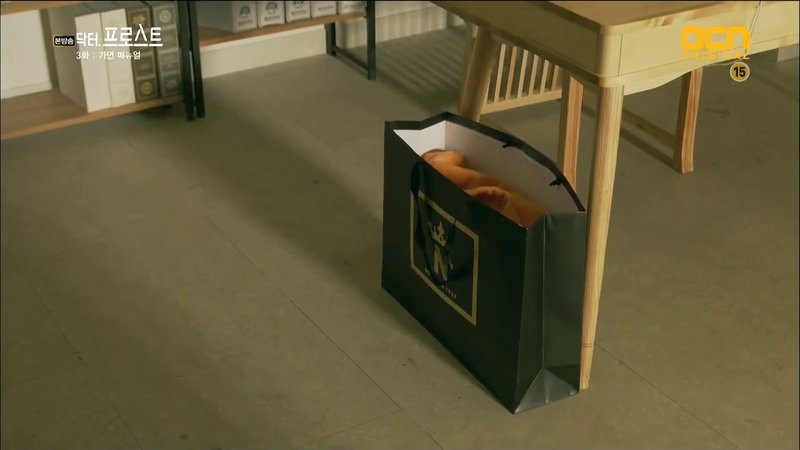 Seeing how Frost placed the shopping bag squarely on her desk there’s no doubt as to who the present is for, yet Seung Ah and him are summoned to nab SHS and KSJ before SA gets to open the bag. And boy am I glad that we waited until the end. Seung Ah finishes typing up the report and looks over at Frost’s desk. She rises and places a gift bag on it, with a post-it revealing its contents. But it’s when she turns towards her own desk that she sees Frost’s bag, and curiously opens it to find the coat, which she clearly loves, judging by her expression. And at the bottom of the bag is a post-it as well, with a single word in Frost’s meticulous writing. 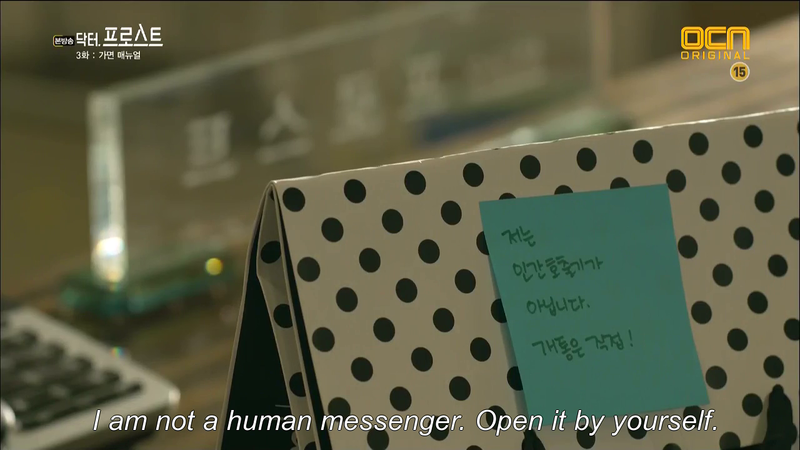 Seung Ah looks at the bag she just placed on his desk and the post. She smiles. Illegal writing, that is not legal writing. A lawyer trying to knock out a novel.